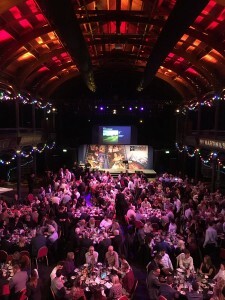 The 2019 Glasgow Question of Sport event will be held on 6th of November at The Old Fruitmarket, Glasgow. The KidsOut Question of Sport provides a great evening of entertainment, networking and friendly competition. Take a table and your team will compete to win trophies and special prizes in a fully interactive sports quiz based on the popular TV show, with proceeds going directly to help disadvantaged children in and around the Glasgow area. Opening with a champagne reception, you’ll have plenty of time to network and catch up with friends before and during the games. 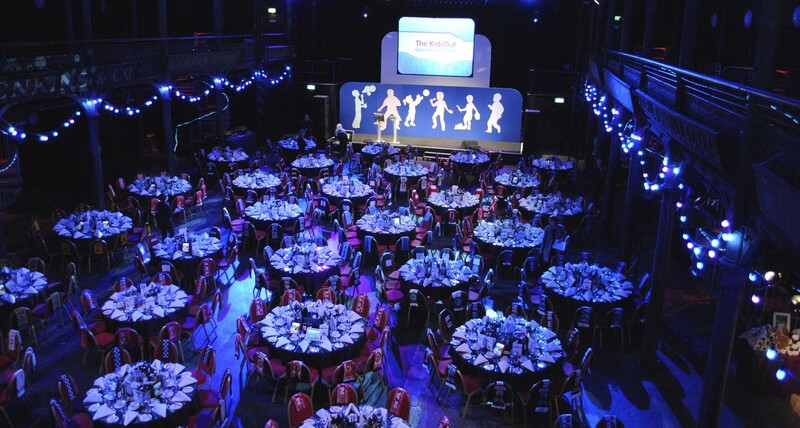 Between courses of the gourmet meal, guests can participate in a range of quiz rounds, including “Guess the Mystery Sportsperson” and “What Happened Next?”, engaging everyone from a novice to the sports expert. Each table competes as a well-known UK or European football team, wearing the club’s scarves and monitoring its position in the “league table” according to the quiz results. 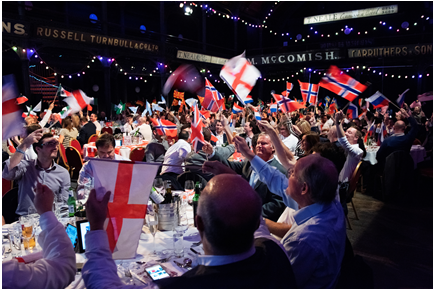 Whether you invite clients, prospect suppliers or colleagues, everyone is guaranteed to have an exciting evening of camaraderie and friendly competition. Read all about the 2016 Glasgow QoS in the article here. Book your table for the 2019 Glasgow QoS here. View the photos from the 2016 Glasgow Question of Sport here. Most successful Glasgow QoS ever! 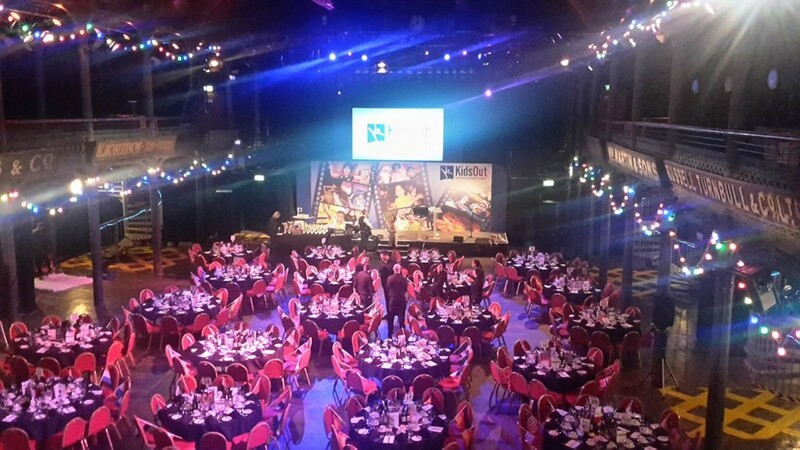 With close to 300 people in attendance, the KidsOut Question of Sport Glasgow event raised nearly £45,000 for disadvantaged children.